DiMarzio announced the launching of the Ionizer 8 Tosin Abasi Signature pickups for 8-string guitars. The three Ionizer 8 Tosin Abasi pickups were designed in partnership with the artist, who uses them on his Ibanez Signature guitar. 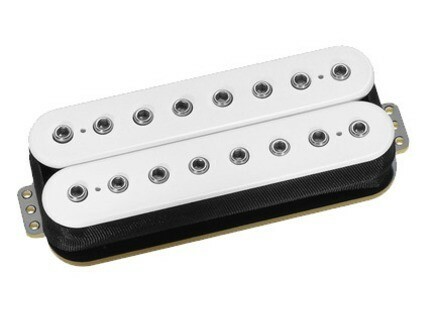 DiMarzio describes them as warm and open like vintage humbuckers, and tight like a modern metal pickup. 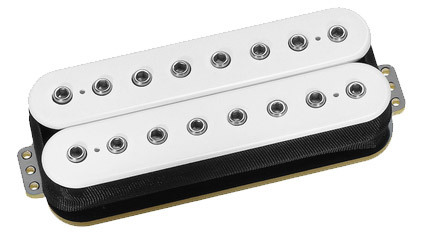 The Series included two humbucking DP809 Neck and DP811 Bridge, as well as the single coil DP810 for middle position. Price of the humbuckers is $139 and $79 for the single coil. More details at www.dimarzio.com. DiMarzio Steve Lukather Transition Pickups DiMarzio pickups has announced new Steve Lukather signature pickups. DiMarzio Paul Gilbert Signature Pickups DiMarzio has introduced new signature pick-up models: the Injector Neck and Bridge Models DP422 and DP423.